...and a bottle of wine can't solve. A funny, humorous, romantic poster for couples. Makes a great, fun, surprise gift for birthdays or any regular day for your partner, girlfriend, wife, better half. 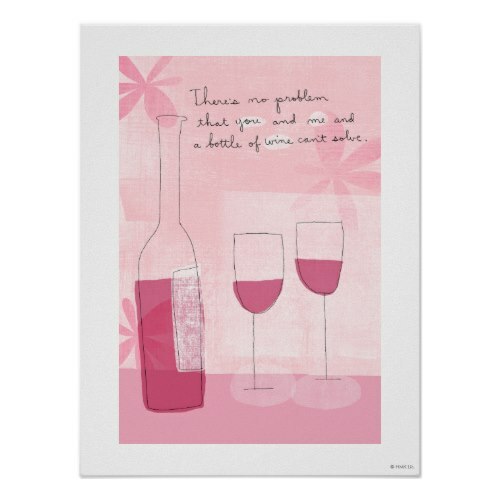 A cool poster for room decor, wine bars, and restaurants!